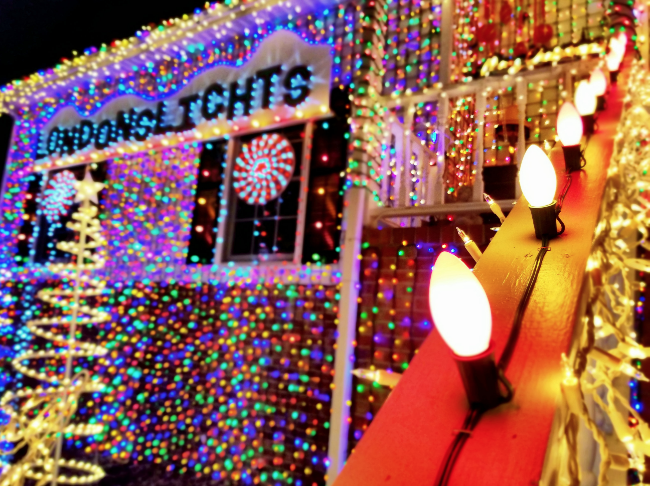 Brad Henn, a heartbroken, 40-year-old Dad spent more than 200 hours placing 300,000 lights on his home in order to honor his 2-year-old daughter who tragically passed away after being crushed by his own truck. 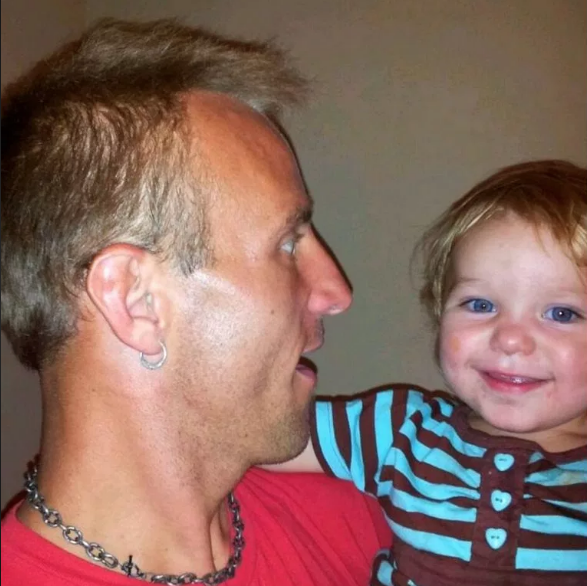 Brad’s daughter, whose name was London, was just 21 months old when she sadly fell from the front passenger side of his truck. She had freed herself from her own child seat in the back, climbed to the front of the truck and toppled out of the side before Brad had time to react. The door was then opened, which was when she fell out and was killed by the trucks rear wheel. Brad and London had been on their way to pick up 12-year-old Tristen, London’s brother when the tragedy happened. The police investigated the incident, which took place back in 2012, and it was ruled as a tragic accident. However, understandably overcome with grief, Brad wanted to do something in order to mark what would have been his little girl’s birthday on December 5th. 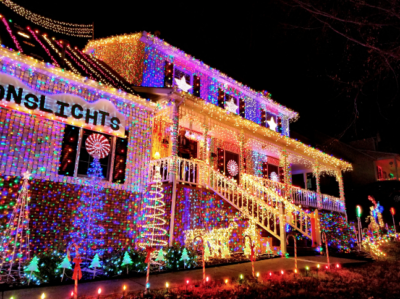 And so, he set out about hanging Christmas light in all her favorite colors – pink and blue. He named his creation “London’s Lights”. And since then, the display has grown and grown, year after year, and today currently amasses to 300,000 lights! It also attracts around 50,000 visitors annually. Not only that… but the display also helps to raise money for the hospital which fought so hard to save little London’s life. Passers-by jumped into action the moment they saw what was happening, one even performed CPR, but alas, despite their best effort, London sadly passed away. The idea for the display itself came to Brad just months after London’s death, and eventually grew from there. As mentioned previously, this year Brad spent over 200 hours (across 53 days) putting up this year’s display. He began on October 1st in order for it to all be ready for Thanksgiving. The display also does well for the community. All donations are sent to Vanderbilt Monroe Carell Jr. Children’s Hospital, which is where London was sent following her accident. Visitors who come to see the lights from all over give money, but also donate toys which are then passed on to charities which help sick children and people in need over the festive period. 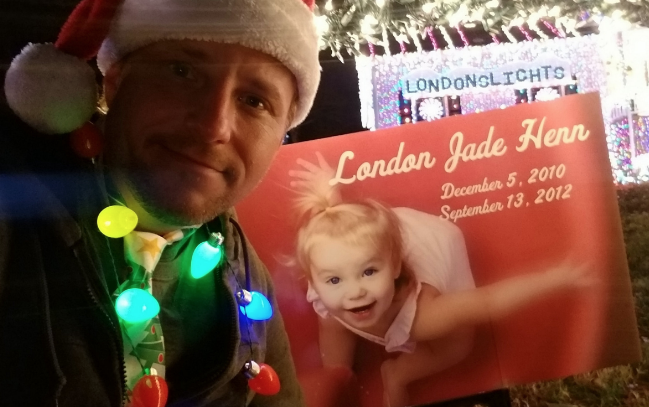 Over the years since London’s death, an estimated 4,300 gifts have been donated as part of the toy drive. Well, Brad is a true inspiration. In the face of a grave tragedy, he found a way to turn it around for him and his family in order to allow others to benefit from it in a positive way. A truly heartbreaking yet inspiring story!